What is an AICI City Circle? An AICI City Circle is a group of members that live in the same city or geographic region. They know each other, they can work together, and they can meet if they want because they live close enough to each other. AICI City Circles require a minimum of four people. Each Circle Group organizes its own meetings, events, and/or education. Participants of an AICI City Circle do whatever they want to do together: meet, talk, have dinner, study, work on certification, hold events, etc. AICI City Circle participants pay for any City Circle costs. AICI International is not involved. AICI City Circles will be recognized as an official and important part of AICI. Each City Circle will have a place on this page on the AICI Website; will be mentioned on the member registration form; will be able to announce any upcoming program or event as well as publish about the results of those events and programs by providing a link to their own website or Facebook page. 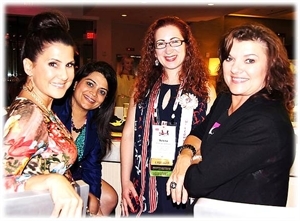 AICI City Circles are only an organizational part of AICI. There is neither legal status, nor any financial obligation or rights between AICI International and the AICI City Circle. HOW TO CREATE A CITY CIRCLE ¿CÓMO CREAR UN CITY CIRCLE? Learn more about starting an AICI City Circle here. We understand that we will not have any rights to receive money from AICI International. We will be fully responsible for the financial well-being of the AICI City Circle.